As another year comes to a close, it’s only natural to contemplate the past twelve months, mentally unpacking the highs and lows; reflecting on what worked well, and what did not. What are the accomplishments of the last year, and how can remaining goals be achieved in the next? For Virginia Wine, this year was one for the record books. In 2014, Virginia was praised by Food & Wine Magazine’s Ray Isle, explored by celebrity chef Jose Andres, and the focus of the entire travel section of The Washington Post. But that was just the beginning. With more than 20 wineries added to the roster this year, Virginia isgetting noticed; both as a wine destination, and as a new challenger in the ring with the world’s best wines. But how do we capitalize on this momentum? How do we make sure Virginia’s wines out-compete the best from other “lesser-known” regions, like New York and Texas, to claim coveted spots on restaurant wine lists and in online shopping carts across the country? 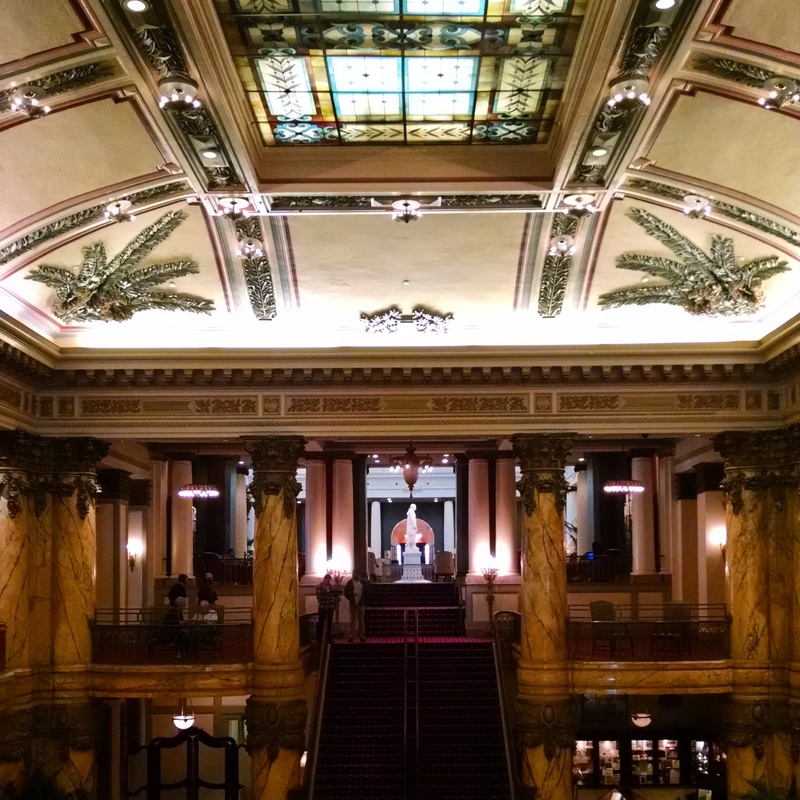 At this year’s Virginia Wine Summit, marketing was a pervasive element of larger conversations about what is working well, and what isn’t. The topic of marketing permeated discussions on expanding grape production, industry best practices, and the branding of Virginia wine. Winemakers and winery owners need to tell their story. It’s clear that winemakers and winery owners play a critical role in wine marketing; each one has a unique story to tell, and if you package it properly, it will sell. Customers engage in more than just the wine; they want to understand the back story, get increased access that others don’t, and feel like they’re a part of the inner circle (hello, Social Media!). PR is worth its weight in gold. People are tapping into new wine regions and intel every day, and interested imbibers are willing to pay for shipping just to try the hot new recommended wines. Get your wines into print (or video) and you will attract new brand ambassadors and fans. Done and done. Virginia doesn’t need a signature grape, it needs to keep doing what it’s good at. There’s been a lot of talk about Viognier ever since the Virginia Wine Board Marketing Office designed a marketing campaign promoting “Virginia’s Signature Grape.” There’s no question that Virginia produces a number of excellent Viogniers and that this grape is wrapped in an extra layer of intrigue because it’s not particularly well known among casual wine consumers. The overall consensus at the Summit, however, was that Virginia is tapping into a number of interesting grape varieties, and stands to benefit from such exploration, building a diverse portfolio of spectacular wines rather than demonstrating a range in quality for one particular grape. Instead of honing in on one grape variety to create its signature character, winemakers are growing what works well for them, including Petit Manseng, Tannat, Petit Verdot, and even Albariño. Virginia will build its reputation for quality on many different grape varietals, so from a marketing perspective, sing the praises of what you’re good at, whether or not it’s Viognier. If you’re not on Social Media, you’re missing out. Social is as social does. Let’s face it: social media has changed the way we do business, and that includes the wine industry. Customers expect to reach the brands they like and support when it’s convenient for them, whether voicing a complaint, asking a question, or providing positive feedback. It’s critical to be where your customers are in order to listen, interact, and learn from them. An incredible 65% of consumers make purchasing decisions based on feedback from their peers on social media, and 77% of consumers in a recent Forbes study said they are more likely to buy a product from a brand that is active on social media. With social staples like DrinkWhatULike’s Virginia Wine Chat on Twitter, and VirginiaWine.org’s Virginia Wine Month, it can be hard to know where to spend your time, but with 82% of consumers indicating they gravitate to businesses that are active on social media, you simply cannot afford to be absent. If you build it, they will come (your brand, that is). Here’s the catch: your brand isn’t going to build itself. And as much as you might like to lean on the Virginia wine brand built by the Virginia Wine Board Marketing Office and VirginiaWine.Org, your brand needs to be separate and distinct, because you need to tell your story (did you read #1?). Think of one product or company you really love. Now think about their color scheme, logo, style, and what they stand for. Did they have to tell you these things directly? Most likely not. That’s called branding, and a strong brand will confirm your credibility, connect your target audiences on an emotional level, inspire loyalty, and motivate them to buy from you. But it won’t build itself. The battle for imbibers in the Virginia Wine industry is growing stronger every day, and a strong brand will help you connect with them and make you memorable. So there you have it! The Virginia wine industry had a year that would make Jefferson proud. Here’s to tremendous success, both present and future. Cheers! Recently, the Washington Post took the time to explore the wine region in its own backyard. The entire travel section was devoted to eating, tasting, playing, and staying in Virginia wine country. One article in particular was focused on the culinary and viticultural bounty of the Charlottesville area. With numerous recent articles touting Charlottesville as one of America’s best cities for food and wine, the historical home of Jefferson and America’s winegrowing efforts has become a mecca for foodies and oenophiles alike. So, it goes without saying that the author probably couldn’t pack everything into one quick weekend jaunt through town. It seems to be her bias, however, and not Father Time that kept her from one of Charlottesville’s gems. After taking in some of the rich history in the area, the author gets back to the business of tasting through Virginia’s wine country. It’s at this point that she muses, “[Blenheim Vineyards] is just up the road from Trump Winery. We’ve elected to skip the latter, put off by the large gold-leaf “T” on the sign at the entrance. By contrast, the sign for Blenheim is so small and plain, it’s easy to miss the turnoff.” Now to be fair, when most of us hear the name “Trump” it probably conjures images of opulence and bad toupees, but Trump Winery is under the tutelage of Donald’s son, Eric Trump. 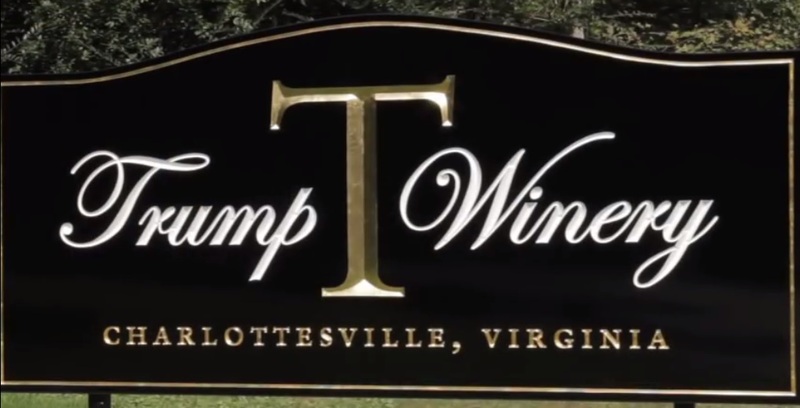 Eric’s done a tremendous job bringing Trump’s signature customer service to Charlottesville, while preserving the understated elegance and charm of Virginia Wine Country. The Trump Winery tasting room is nestled among the estate’s 1300 acres of grapevines and tree groves. The cozy space is full of natural light and dark wood, with the square shaped tasting bar drawing attention to the center of the room. Beyond the tasting bar, the room opens to a spacious stone terrace with additional room for tasting, and various alcoves for lounging and sipping on your favorite Trump wine. You may just find more than one favorite at Trump, too. Sparkling roots run deep on this property, having been planted by Patricia Kluge in 1999. These sparkling wines have won numerous competitions and accolades, including the 2008 SP Rosé which claimed a coveted spot in the 2013 Governor’s Cup Case. Trump offers more than just the light and bright, however. The 2012 New World Reserve is a beautiful, complex Bordeaux blend worthy of a gourmet meal or a cozy spot in front of a fire. If you’re craving something a little stronger, indulge in Trump’s Cru: a fortified chardonnay aged in bourbon barrels for more than 12 months. It makes a killer hot toddy or spiked/spiced apple cider. Overall, Trump Winery provides a spectacular tasting experience in a beautiful corner of Virginia wine country; one that people (like the Washington Post journalist mentioned above) might miss because of preconceived notions about its owner. To avoid missing out, I invite you to Trump it. I believe that winemakers are artists. And much like any other form of art, there are offerings that you will like, and those that you will not. Just like artists, there are winemakers who seem to move large groups of people, and who are particularly good at their craft year after year. Wine as art, for me, is particularly expressive; often representing a place, a passion, and a history. A message in a bottle, if you will. 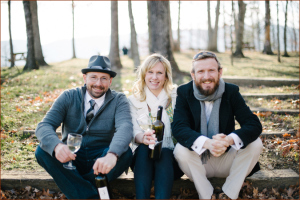 So what happens when three of Virginia’s celebrated winemakers come together to put their message in a bottle? Winemakers Matthieu Finot of King Family Vineyards, Jake Busching of Grace Estate Winery, and Emily Pelton of Veritas have come together to offer their fourth vintage of “3.” Sourcing one-third of this red blend from each of their respective vineyards, the 2013 vintage is a powerhouse built by Cab Franc, Merlot and Petit Verdot. The wine offers red berries on the nose, with a hint of cedar foretelling its depth and strong character. On the palate, this wine begins with bright red fruit, and develops hints of black cherry and cedar that linger on the finish. The tannins are not at all overpowering, but are structured enough to age another 3-5 years. The message in this bottle? A powerful testament to the quality of Virginia wine, and the expressive terroir of the Monticello AVA. 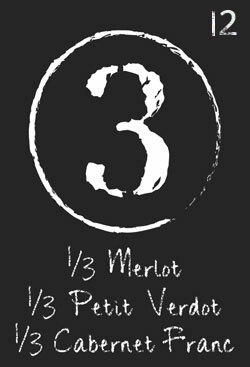 You can chat with the three creators of “3” at tomorrow’s Virginia Wine Chat. At 868 Estate Vineyards, the quest for greatness is about more than just wine. It’s about taking what nature provides, artfully transforming that raw material and packaging expressive wines that, when combined with gourmet food, create a uniquely beautiful sensory experience. The winemaker behind that quest is Carl DiManno. Unlike most winemakers, DiManno discovered his passion for great food and wine pairings long before diving into the art of winemaking. Attending school in New Orleans, where partaking in decadent, delicious food is as common and frequent as breathing, the concept of using food and wine to create atmosphere and provide artful experiences formed early. That passion found structure when DiManno moved to California and discovered a new level of appreciation for the art of winemaking. As it turns out, that appreciation has led to meticulous attention to detail and a careful blending of old world techniques that highlight terrior, with new world practices that help showcase the best characteristics of the fruit. This approach has earned DiManno numerous awards in competitions that pit his creations against well-known labels from California, Europe and South America. 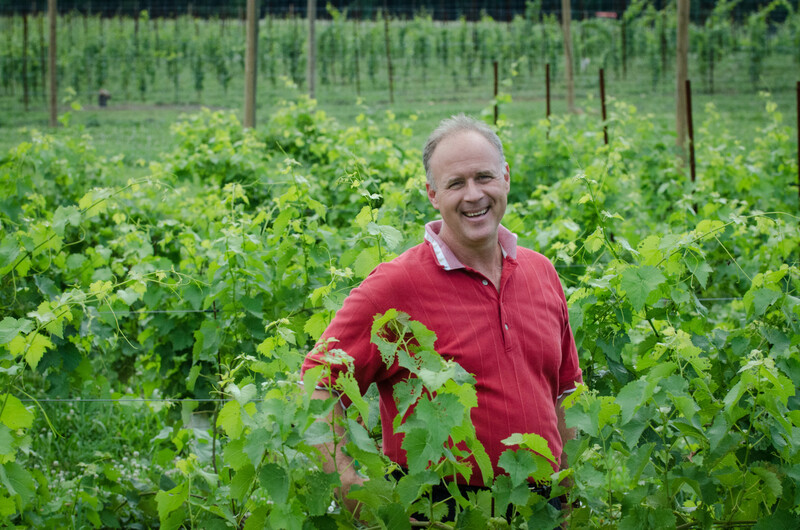 These awards have earned his new winery, 868 Estate Vineyards, a significant following and recognition as quality producer of Virginia wines. Recently, I sat down with DiManno to find out why he’s chosen to put down roots in Virginia (pun intended). CC: How did you become a winemaker? DiManno: At one time, I considered buying a vineyard and learning the entire process from growing to bottling on the job. Turns out, vineyards are expensive. But I knew I wanted to be involved in the entire process. Going to school in California was a stepping stone to that. The winemaking program at UC Davis provided a good entree into the industry, but the goal at that point was to own a vineyard/winery. After finishing that program, I learned that winemaker and vineyard manager were important roles to gain perspective on the entire industry. CC: What do you love most about it? DiManno: The best part of winemaking is the completed task. To have a finished product in hand, and have people enjoy it is really the most satisfying and rewarding aspect of this role. It represents all the hard work, effort, and the countless decisions that go into crafting that final product. CC: Is your winemaking philosophy more New World or Old World? Describe it for us. DiManno: I try to use best practices from both schools of thought, but I suppose my philosophy falls into the New World camp. While there are non-interventionists out there, I am not one of them. I also do not believe in throwing the book at a wine or following a recipe. Each wine is different and has varying support needs to be the best wine it can be. My job is to do whatever it takes to make that wine be the best it can be. If that means leaving the wine alone and allowing nature to take its course, that is what I will do. If a wine needs finessing in the form of additives, high end filtration, fining, filtering, concentration, blending or whatever, then at is what I will do to put the best product possible in a bottle. CC: How did you decide to settle in Virginia after starting your career in California? DiManno: The east is home for me, and I always knew I would end up back here. I also believe that the east coast represented an opportunity that CA could not provide. The wild, wild east had tremendous opportunities to improve, grow, and expand. The chance to affect real change in the quality of wine in the area was really attractive. I had been consulting for a number of labels in California, as well as one or two back east, but an entrepreneurial spirit kicked in and the allure of new vineyards, new wineries and a rapidly expanding wine industry was too much to resist. CC: Having made wine in both locations, do you prefer winemaking in Virginia or California? DiManno: A boutique winery in CA is 50,000 cases. There is no way you can do everything yourself or even with a small team. In Virginia, winemaking is much more intimate. You know the fruit. You know the growers personally if you are buying fruit from other vineyards. You get your hands dirty. Winemakers in California often don’t touch grapes. Someone brings them samples of wine and they make winemaking decisions as part of a team from an office. I love the hands-on nature of winemaking in Virginia. When you buy a Virginia wine, you can be very sure that the winemaker actually touched the raw material, and played a significant role in every phase of production. CC: You have a relatively new vineyard in Virginia. A blank canvas, if you will; how did you decide what to plant, and what is it that you think Virginia does really well? DiManno: Well, I planted what I like to make (and ultimately drink), and what I think will do well in a particular site. For example, I believe that mid-Atlantic Cabernet Franc a true expression of the varietal, and some of the best Cabernet Franc you can get anywhere. So, of course I planted a lot of Cabernet Franc. Many Francs also benefit from being blended with other varietals, to soften what can be very austere tannins. Complementary grapes such as Merlot and, to a lesser degree, Cabernet Sauvignon provide the blending material to make great Cabernet Franc wines and great blended wines. I have been very a happy with Dijon clones of Chardonnay, so we have planted some of those. Virginia’s signature grape is Viognier. While we have some Viognier, I am more interested in seeing what else will do well in Virginia soils. Sauvignon Blanc and Syrah are experiments. They may do well; they may also prove too unruly to make good wine. Time will tell. Vermentino is another one. It could produce a nicely balanced, lively wine. Maybe it falls flat. Time will tell. 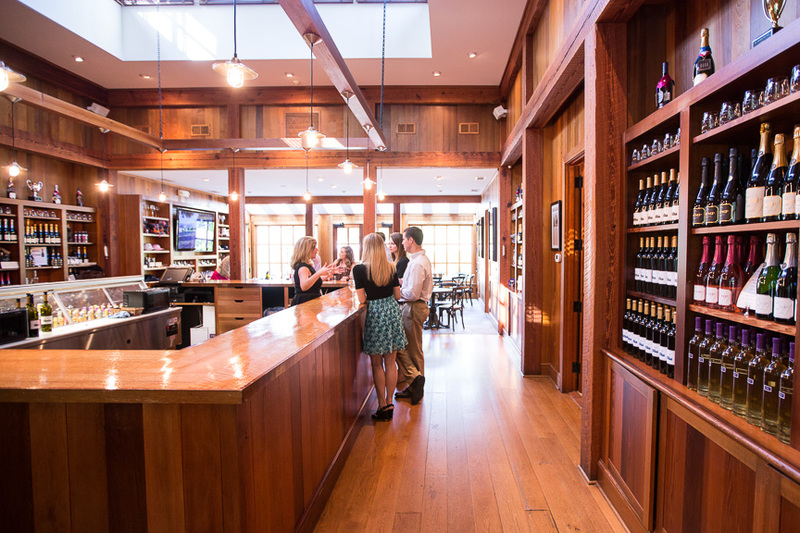 CC: Why should wine drinkers visit Virginia wineries? What is it that makes Virginia different? DiManno: Most Virginia wineries are small and do not distribute to restaurants, wine shops and grocery stores. If they do, it’s on a limited basis. The best way (and really the only way) to really experience Virginia wine is to go to the wineries. There are some very good and even great wines being made in Virginia. But, they will not come to you for a while. You will have to go to them. The Virginia is a wine region still in its infancy. Here, you can be part of its growth and experience the changes and improvements that go along with the development of a region and its identity. It is small enough to provide an intimate relationship between vintner and consumer. CC: What is your vision for 868 Estate Vineyards? DiManno: 868 will be among the larger wineries in the region, but still small enough that the elements that make it charming are not lost. 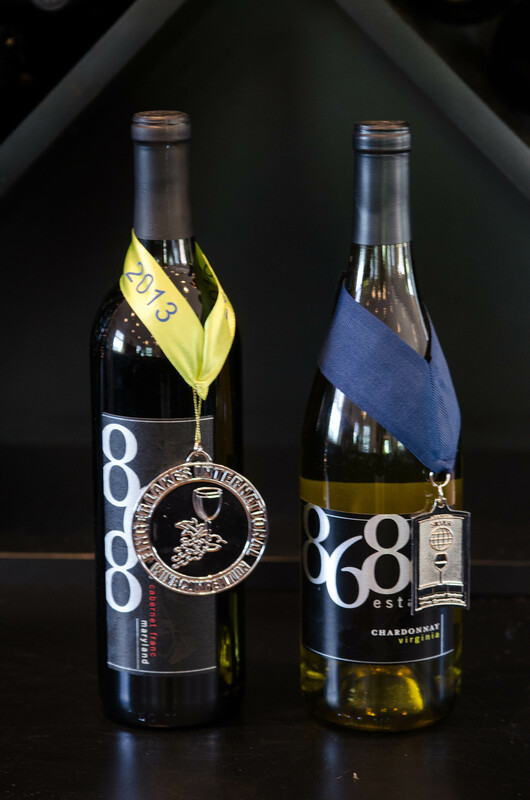 868 will produce high quality wine and will have well made wines for every taste and palate. In 2007, I made a wine that I thought was very good. Not only a good east coast wine, but a good wine at its price point. This wine could compete with any wine from anywhere in the world at its price. That is really my vision for 868: to transcend the VA label. I want 868 wines to compete with wines from all over the world at their particular price point. When I don’t have to hear “this is nice, but I can get a Argentinean Malbec that is just as good for $5” then we will have succeeded. CC: What is your favorite food and wine pairing? DiManno: I like Riesling with pork rinds. Actually, Riesling is a good answer. Given the diversity of our region, there are a lot of foods that do not pair well with specific varietals. Mexican, Thai and Indian are difficult pairings. The answer is Riesling. The cool, steely citrus notes of the Riesling provide a refreshing counterbalance to the robust, spicy flavors in those foods. Cabernet with curry is horrifiying; Riesling with curry is a nice night out. CC: Of course, inquiring minds want to know… What is your all-time favorite wine? DiManno: This may be my all-time least favorite question. My favorite wine is whatever you are pouring! I don’t have a perfect answer. I have tried some truly stunning wines. I have also had many wines that were supposed to be stunning that fell flat. And I still have a lot more to try. I have had some Burgundies that were outstanding, but can’t even remember their names. I tend to fall for dry sparklers. There are very versatile and can be enjoyed every day, since the price of good domestic sparkling wine has come down so much. If I need one for a special occasion, it will probably be Veuve Clicquot. You can meet Carl DiManno at 868 Estate Vineyards’ upcoming “Meet the Winemaker” event on August 18that the winery in Purcellville, Virginia. Is Virginia for Viognier lovers? With 82 of Virginia’s 228 wineries producing Viognier, this vivacious varietal is set to make a name for itself in the state for lovers. In 2011, the Virginia Wine Board decided to designate Viognier as the state’s signature grape, hoping to brand it as a Virginia specialty, much the same way that Cabernet Sauvignon can be associated with Napa or Pinot Noir with Oregon. With such an astounding array of styles and character, Viognier certainly isn’t a bad grape to hitch your proverbial wagon to. Generally, wines from this varietal fall into two main styles: bright, lively and slightly sweet with plenty of stone fruit, apricot and honey, or a full-bodied, drier version that exchanges some of its fruit forwardness for oak and vanilla nuances. Virginia does them both, and does them both well. 2012 Delaplane Cellars Viognier: My favorite Virginia Viognier, this wine is an excellent representation of the dry style. Aged in oak to soften the flavors, this wine is the perfect alternative to Chardonnay. On the fuller side of medium-bodied, this wine offers a beautiful, creamy texture and lingering finish (if you can stop sipping long enough to appreciate it). 2012 Horton Vineyards Viognier: This wine, from the vineyard that started the Virginia Viognier lovefest by besting its California counterparts back in the 90s, boasts delicious honey notes, blended with subtle oak nuances. 2012 Veritas Viognier: Packing the brightest fruit of the three recommendations, this wine is full of orange blossom and white peach. It offers the slight sweetness most people expect from Viognier, with honey and more orange fruit on the palate. Drink alone, or pair with foods that can stand up with the strong elements of this standout. Whether Virginia will achieve global acclaim for its Viognier remains to be seen, but this thick-skinned grape may be just the right metaphor for Virginia’s burgeoning wine industry as it looks to take on heavy hitters from California and Condrieu on national and international stages. Viognier grapes ripening on the vine.